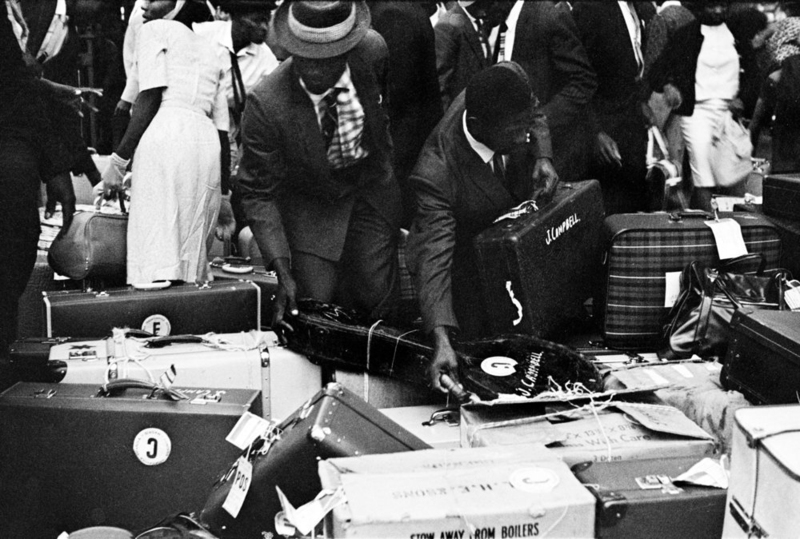 Black Cultural Archives (BCA), as the nation’s only repository dedicated to preserving the heritage of African and Caribbean people, views the fiasco unfolding regarding the “Windrush generation” as a shameful lack of appreciation of the courageous citizens who have helped to create what we know as Britain today. These actions have added to the hostile environment for migrants from our community who have been living and working in Britain for over 40 years. It reflects the general lack of appreciation of the contributions the Black community has made to this country throughout history. The tens of thousands of people who travelled as British citizens between 1948 and 1973 were invited to this country to help rebuild post-war Britain. The elders of Britain’s Caribbean heritage community were a pioneering generation who laid solid foundations that rebuilt post-war Britain. This is not an immigration story, not a moment of migrant history, but is central to British history. The history of Black people in Britain dates back centuries, yet this history has been long hidden. It is our duty to unearth and share these histories with everyone for a better and deeper appreciation of Britain. This will ensure injustices borne of ignorance and lack of empathy do not continue to occur and debate the value we give to this society. The “Windrush generation” came on their own and then brought their families here. The resilience and courage of the generations that followed them have shaped today’s Black British community. The fact that citizenship questions are being raised decades later is highly problematic. BCA was founded in 1981 over 30 years ago as our co-founder Len Garrison grappled with the fundamental question of “Where are our monuments? Where are our martyrs? …” His words continue to echo throughout the country today, as we are still asking these same questions in the face of institutions that are still unable to value our contributions and heritage. BCA’s archive collection holds a copy of the 1948 Nationality Act which gave all colonial subject British citizenship, as well as copies of subsequent Immigration Acts which attempted to remove that right. Our collection holds historical evidence of the oppositional campaigns to the racist 1962 Immigration Act, known as the Colour Bar Immigration Act, which expressly limited the movement of British citizens from its colonies. The destruction of landing cards that form part of a narrative of an entire generation and their children’s history is disheartening. BCA exists to ensure the preservation of this history, our archive differs from national or government archives, as our remit is to preserve the narratives of the people. Materials that can no longer be held in central archives should be offered to alternative repositories such as ourselves. We have been entrusted by generations of individuals, families and organisations to safeguard these materials, our history, British history. We call on the government to ensure the travesty of the destruction of the archival materials must never happen again. And BCA must be the recognised home for such important archival material. We are inviting all those who are worried about being affected, have concerns about their documentation either for rights to remain and safeguarding to our public meeting on Saturday 28 April 2018 between 2pm-5pm. The public meeting will be followed by a series of legal clinics from legal professionals who are volunteering their time and expertise. We are open to working with and alongside government and community initiatives to support the wider community to navigate the current situation and help to overcome the distrust and distress that has arisen. Clinics will be held at BCA as a central point of contact for the community and safe space to ask critical questions and make enquires. Legal clinics have been extended due to growing demand. Clinics will now take place on Saturdays, 10am-1pm throughout June. Contact us on 020 37578500 to make an appointment.